Looking for living room inspiration? It’s often the hub of the home, where you entertain, chill out and watch Netflix or like us, lay back on the sofa with a glass of wine after a busy week. So with all that in mind it’s also a room that is often in need of a refresh. Style director Louise Hilsz shares the latest in decor ideas to update your living spaces. St Clements Jo Sofa with arms, $4025. Are you looking for a new sofa? 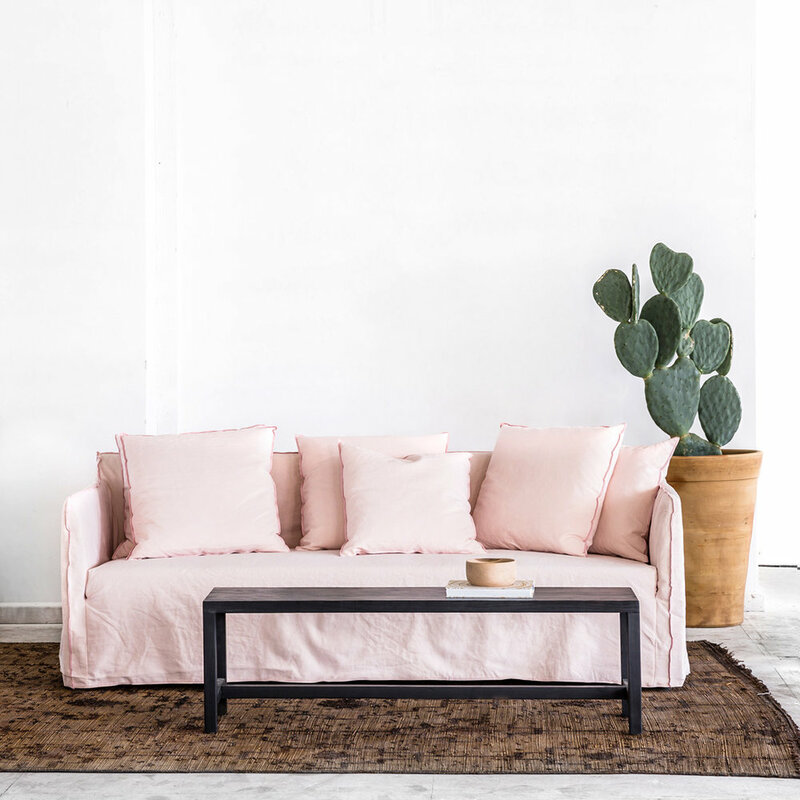 Summer-inspired pastel linen couches are bang on trend. Super comfortable, and easy to style with any decor look they are crumpled and comfy, the kind of couch you can't wait to sink into at the end of the day. Republic Home Newport 2.5 seater sofa, $3395. 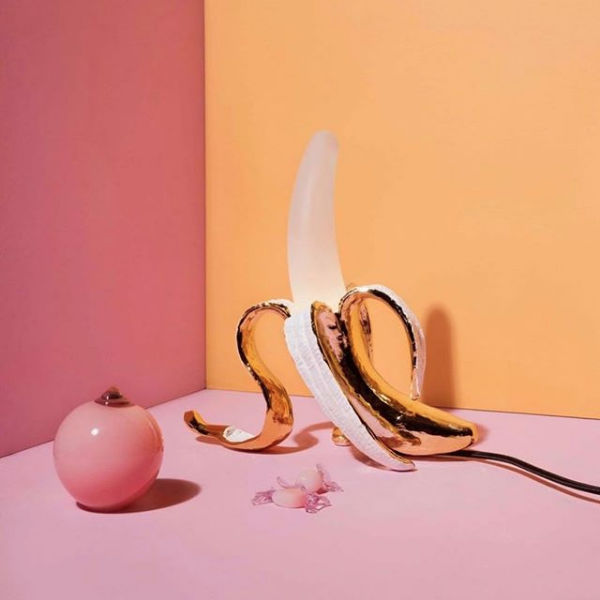 Verellen Gavin sofa, $POA, from Cavit & Co.
Seletti Banana Louis lamp, $478. Add the right amount of gold to your home and it will create a warm, inviting space. Choose something unique and it will give character and charm to your home, a piece that you will keep forever. Fornasetti Gold Leaf tray, $495, from Design 55. 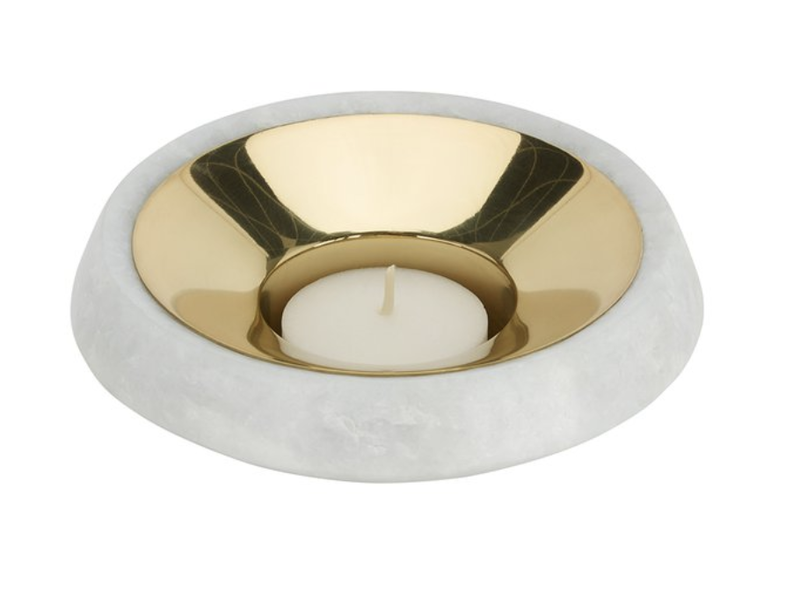 Tom Dixon Stone Tea Light Holder Brass, $145, from Ecc. Plush velvet or metallic satin, nothing screams luxe-y like new cushion is jewel-coloured shades. We are a fan of investing in pretty pillows for a living space that is all about relaxation. Me & My Trend Alexander cushion, $100. Niki Jones Geocentric cushion, $204. Reflex of Italy Aenigma coffee table, $POA from Sarsfield Brooke. The coffee table is more than a place to rest your wine glass. It's a living room statement, consider a glass table with a unique, eye-catching base. Sebastian Bell table from Matisse, $POA. Glas Italia Pisse table, $POA, from Ecc. Walls in Resene Thumbs Up (lower) and Resene Poured Milk (upper), coat rack painted in Resene FX Rose Gold, available from Resene ColorShops. 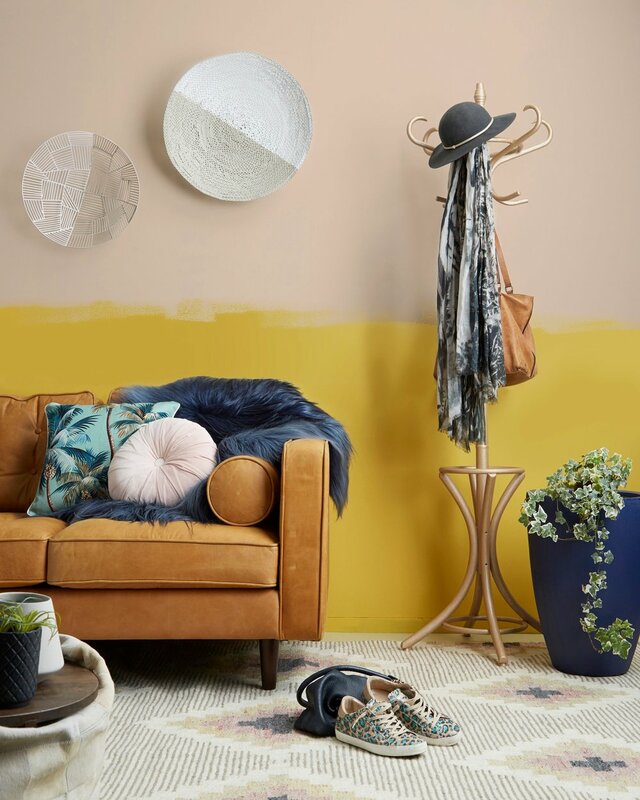 Ever considered of a two-tone painted wall? We are. Why not experiment with paint, one of our favourite shade combinations is green an blue. 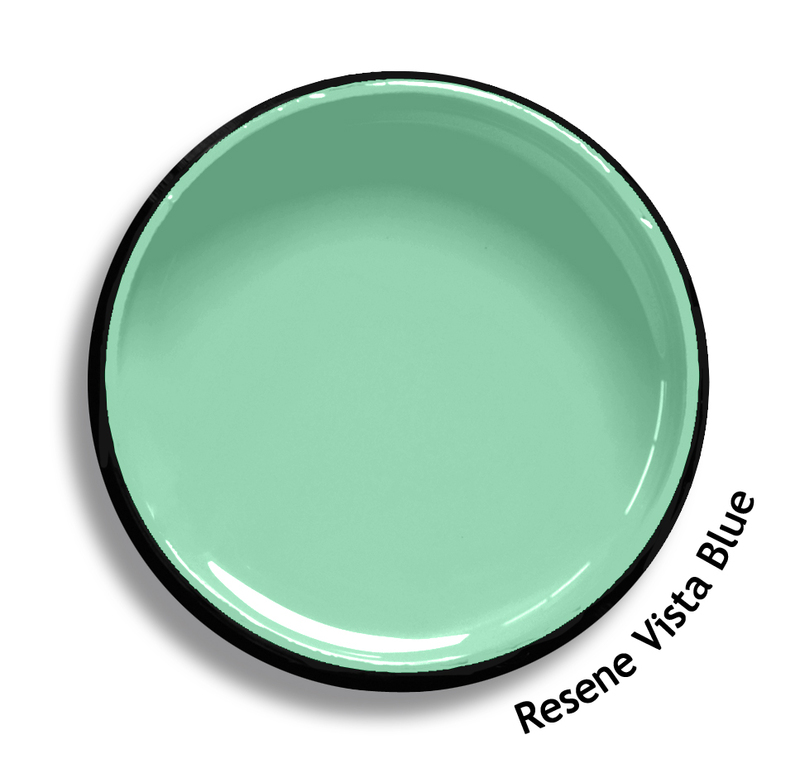 Resene Vista Blue paint and Resene Ecco blue paint from Resene ColorShops.